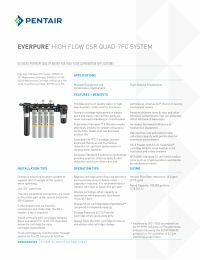 The Everpure EV9329-74 combination system is a single system solution to provide premium quality water for multiple forms of commercial equipment such as coffee brewers, espresso machines, hot chocolate dispensers, fountain and ice machines. These guidelines are designed to give you approximately 6 months of use between filter cartridge changes. 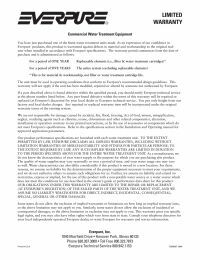 Variations in equipment usage and/or incoming water conditions can produce different results.